Got a headache? Pop some ibuprofen! Chest on fire with heartburn? Put out the flames with antacids. Constipated? Get things moving with a laxative. Unfortunately, this way of thinking has come back to bite us, with many medications ultimately creating FAR more problems than they solve. Let’s look at some of the frightening new dangers associated with these commonly prescribed medications. Antibiotics became a part of mainstream medicine in the early 1950’s, and truly seemed to be the “wonder drug,” wiping out all kinds of infections. But then we started to become careless with them. People began requesting them more often and they began to be prescribed in increasing numbers--even when the illness in question was actually viral and not an infection. At that time, it was thought that if the illness was an infection, antibiotics would be a good "head start" on treatment...and if not, no problem. They won't do any harm. As we would later find out, that’s not true. In addition, antibiotics also began to be prescribed to help prevent and control conditions like ear infections, sinus infections and even acne. That further darkened our fate, as we would see. Antibiotic use continued far beyond our doctors’ offices…because they began showing up in our food supply. As a matter of fact, agriculture accounts for about 80 percent of all antibiotics used in the US! 24.6 million pounds of antibiotics are administered to livestock in the US every year for purposes other than treating disease! Antibiotics are given to cows to make them grow bigger, faster. And the residue from those antibiotics ends up in the meat and milk from the animals, and hence on your table and in your body. 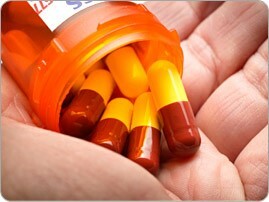 Antibiotics work by destroying dangerous bacteria in your system. But unfortunately, they’re not the sharpest pencils in the box…because they also kill your body’s beneficial bacteria, especially in your gut--where 70 percent of your immune system resides. You see, when antibiotics wipe out a good portion of your intestinal good guys, this gives any dangerous microbes inside of you the “upper hand.” At that point the bad guys can overpower your struggling good guys, beating them out for nourishment and space along your intestinal wall. The result of that is that you can get sick again. And AGAIN. And A-G-A-I-N! That’s why some people are on repeated courses of antibiotics but don’t seem to get better. Plus this flora-killing action has also been implicated as a cause of Crohn’s disease. Scientists have observed a parallel rise between cases of Crohn’s and the number of antibiotic prescriptions being written over the last several decades. But it gets worse—because now we’re dealing with two more serious health issues associated with antibiotics—Superbugs and Type 2 diabetes! One thing that we’ve repeatedly failed to acknowledge is that bacteria are extremely intelligent. As such, they can change and evolve and become resistant to antibiotics! Up until recently, we’ve brushed that problem aside by creating STRONGER antibiotics. The problem is, we’re losing the race. Bacteria are evolving faster than we are and causing deadly infections that even our most potent antibiotics can’t touch! According to the “Antibiotic Resistance Threat Report” published by the Centers for Disease Control and Prevention (CDC), two million adults and children in the US become infected with antibiotic-resistant bacteria each year, and at least 23,000 of them die as a direct result. A recent study conducted in Denmark and published in the Journal of Clinical Endocrinology & Metabolism has shown that the greater the number of antibiotic prescriptions an individual has each year, the higher their risk for Type 2 diabetes. While a number of antibiotics were linked with the increased risk, the strongest association was with narrow-spectrum antibiotics (that are effective against specific bacteria) - such as penicillin V.
Although this finding is disturbing, it’s not surprising—it’s just another manifestation of destroying your friendly flora. Changes in your gut bacteria can lead to a reduced ability to metabolize sugar - a classic characteristic of Type 2 diabetes. You can fight the battle against dangerous infections and illnesses and WIN! By relying on and nurturing the illness protection provided by Mother Nature. In order to maximize your chances of having a proper flora balance and a sharp functioning immune system, it's important to supplement with a probiotic formula that contains both Lactobacillus (for the small intestine) and Bifidobacterium species (for the colon). Super Shield probiotic formula and its 13 strains of top-shelf friendly bacteria can help keep your intestinal flora balance in a healthier range. Super Shield contains a variety of well-studied Lactobacillus AND Bifidobacterium strains, as well as a prebiotic fiber called FOS (fructo-oligosaccharides) which is nourishment for those good guys. You can take probiotic supplements every day, but if your diet is loaded with refined carbs and soda, you are cutting your own throat and undermining the supplements. There's no getting around it--in order to have healthy intestinal flora, you must get the nutrients your body so desperately need from real foods. And note that it’s important to go organic whenever you can—especially to avoid antibiotic-tainted meat and milk. Plus it’s also crucial to have efficient digestion in order to ABSORB those vital nutrients from your foods and eliminate wastes loaded with harmful bacteria. I can help you achieve those goals with the Great Taste No Pain system or if you're gluten-challenged, Great Taste No Gluten. Both Great Taste No Pain and Great Taste No Gluten show you what foods to eat (and what foods to pair together) to help keep digestion smoother. Plus they're loaded with delicious ideas featuring probiotic-nourishing real foods that you'll absolutely LOVE! Garlic, oregano, rosemary and thyme have all been shown to have infection-fighting properties and support a healthy flora balance. Chronic stress can damage the friendly flora in your gut too (and hence weaken your immune system). If you find you’re frequently stressed, it’s time to do something about it. There are many great stress-reducing measures out there—especially regular exercise! The more you nourish your body and strengthen the natural protection of your immune system, the better your overall health can be--and the less you will have to worry about needing antibiotics (or other drugs) to begin with! Not to mention if you get floxed by a fluoroquinolone antibiotic. Your whole life will forever be changed with body wide damage.